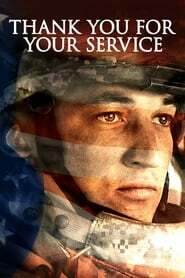 Dear John A romantic drama about a soldier who falls for a conservative college student while he's home on leave. Last Flag Flying Thirty years after they served together in Vietnam, a former Navy Corpsman Larry "Doc" Shepherd re-unites with his old buddies, former Marines Sal Nealon and Reverend Richard Mueller, to bury his son, a young Marine killed in the Iraq War. Thank You for Your Service A group of U.S. soldiers returning from Iraq struggle to integrate back into family and civilian life, while living with the memory of a war that threatens to destroy them long after they've left the battlefield. Wolf Warrior 2 China's deadliest special forces operative settles into a quiet life on the sea. When sadistic mercenaries begin targeting nearby civilians, he must leave his newfound peace behind and return to his duties as a soldier and protector. Wolf Warrior Sebuah gaya tentara khusus Cina dengan keahlian menembak yang luar biasa dihadapkan oleh sekelompok tentara bayaran asing mematikan yang disewa untuk membunuh dia dengan seorang gembong narkotika kejam. An Ordinary Man A war criminal in hiding forms a relationship with his only connection to the outside world - his maid. The Mountain II In a desolate war zone where screams of the innocent echo, on the very line between disaster and valor, 7 Maroon Berets will dance with death. The Wall Two American Soldiers are trapped by a lethal sniper, with only an unsteady wall between them. The Ottoman Lieutenant The Ottoman Lieutenant is a love story between an idealistic American nurse and a Turkish officer in World War I. 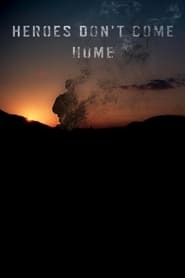 Heroes Don’t Come Home Deep in the woods of Maine, a broken promise made after the September 11th attacks forces two friends to confront the teenagers they were and the men they've become. Rock the Kasbah A washed-up music producer finds one last shot at redemption with a golden-voiced young girl in Afghanistan. However, when jealousy gets the better of a disgruntled ex-boyfriend, he decides to oppose the young star with talent of his own. 13 Minutes The breath-taking story of a man who nearly would have changed the world. 1939, when Hitler tricked millions of people at the height of his power, one said a radical No: Georg Elser, disparaged as an assassin, is one of the greatest resistance fighters.